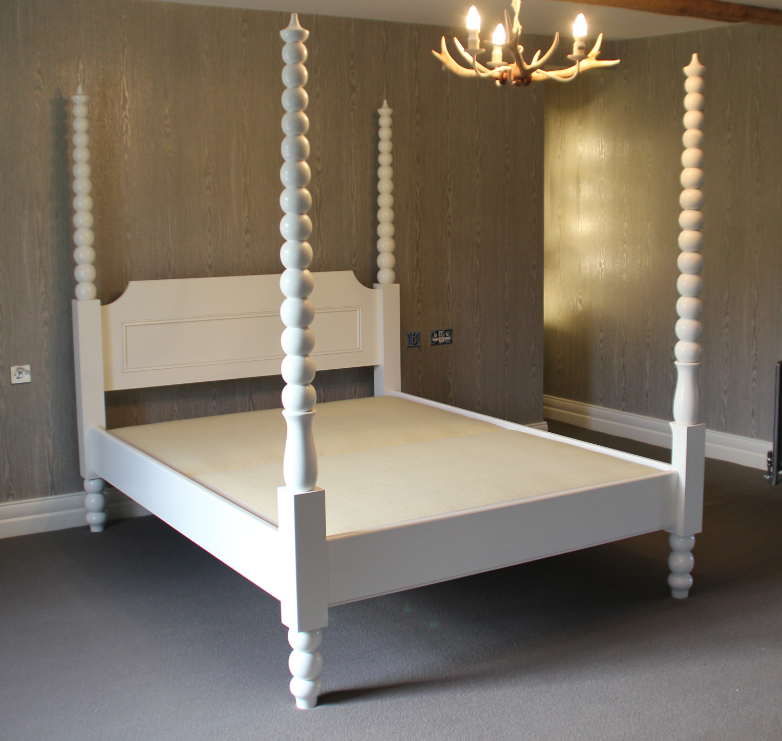 One of our most popular contemporary designs, by far, the bobbin bed is a great addition to any bedroom. Simple in nature, the bed consists of four posts, three rails and a headboard. All four posts are turned, with balls that gradually get smaller from the bottom to top of the post.